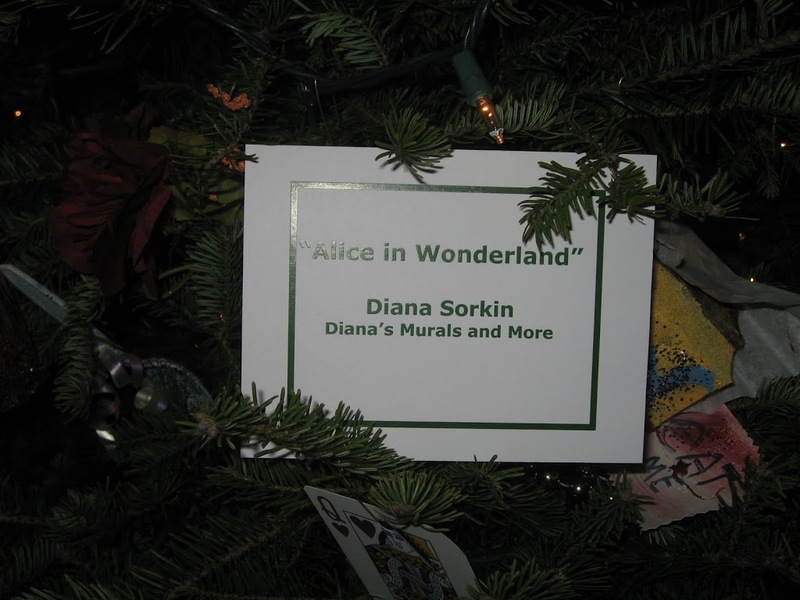 Ms. Sorkin of Diana’s Murals and More, designed the tree for a fund-raiser, “A Festival of Wreaths and Trees,” earlier this month at Mount Manresa Jesuit Retreat House, Fort Wadsworth. The trees were on display during a “Breakfast With Santa” event at Mount Manresa that Ms. Sorkin attended with her children, Ben, 11, and Rebecca, 10. When the breakfast was over, Ms. Sorkin was told that she could keep the tree. However, Ms. Sorkin is Jewish and wanted to donate the tree to someone in need. Ms. Sorkin discussed her dilemma with fellow Chamber member Christine Fiorenza of SI Parent magazine, who suggested that Ms. Sorkin contact the Salvation Army to find a needy family. Another Chamber member, Faith Reel — who just happens to be special events coordinator for the Salvation Army, arranged to have the tree given to a Staten Island single mother with three children. Roy Rucci of Rucci Oil Company, a member of both the Chamber and the Salvation Army’s advisory board, met Ms. Sorkin and Ms. Reel at Mount Manresa with three employees and a truck to transport the tree to the woman’s home just a few days ago. 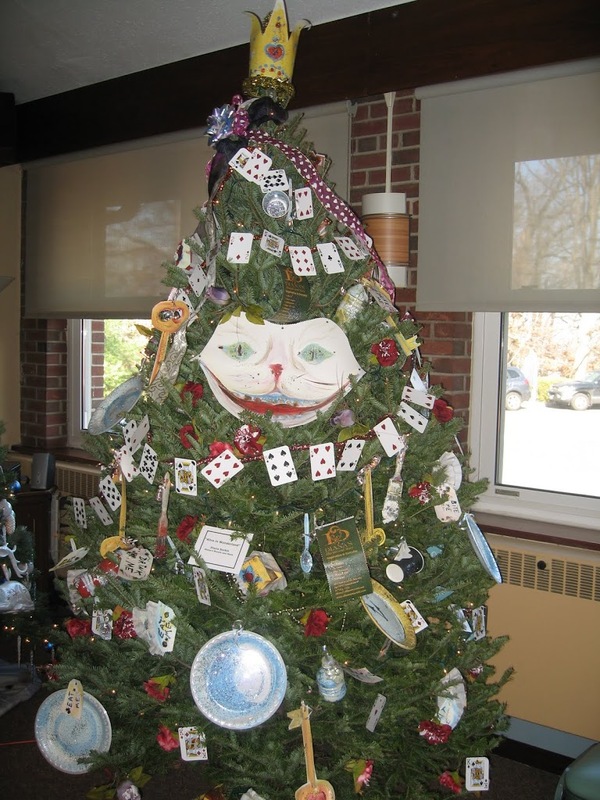 Ms. Sorkin had never crafted a themed Christmas tree before, but had always wanted to because she admired what she saw in magazines and various real displays. 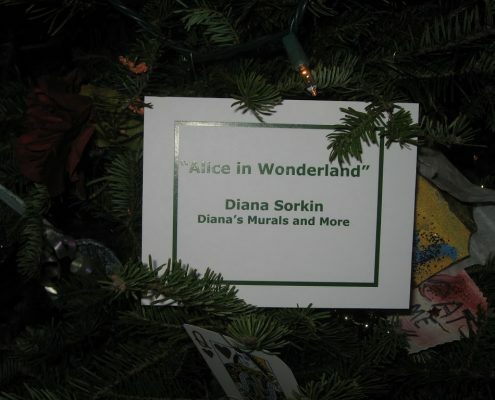 “I was watching an ‘Alice in Wonderland’ video with my kids,” Ms. Sorkin said. 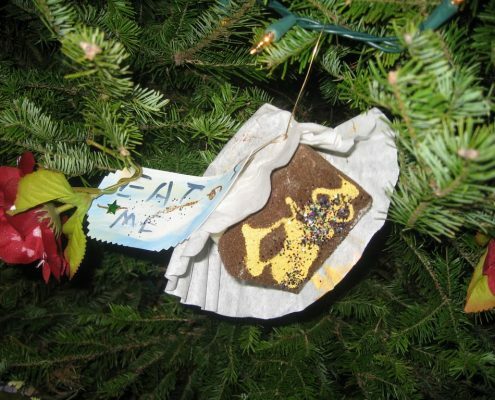 To represent the tea party, Ms. Sorkin made cakes out of sponges and decorated disposable plates and spoons with glitter. 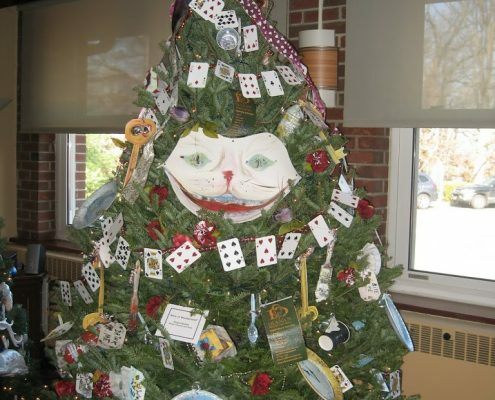 She strung garlands from playing cards, painted the Cheshire Cat face with a wide grin on paper and further embellished the tree with silk roses painted white and red.